Free Shipping Included! 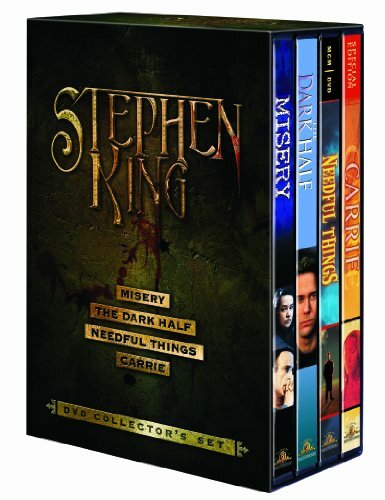 Stephen King DVD Collector Set (Misery / The Dark Half / Needful Things / Carrie) by MGM at Chocolate Movie. MPN: 27616889935. Hurry! Limited time offer. Offer valid only while supplies last.